Richard Spencer sits in his living room in Wadesboro, NC. The Amen Break can be heard in over 2,000 songs, but Richard Spencer and the rest of the band were never paid for their contributions. What do Salt-N-Pepa, Amy Winehouse, Oasis, and the theme song to the animated TV show Futurama have in common? Six seconds. It's called the 'Amen Break.' It’s used in at least 2,000 songs spanning several genres, including hip hop, rap, and pop. It was created by the 1960s band The Winstons, but they never saw a cent from it. 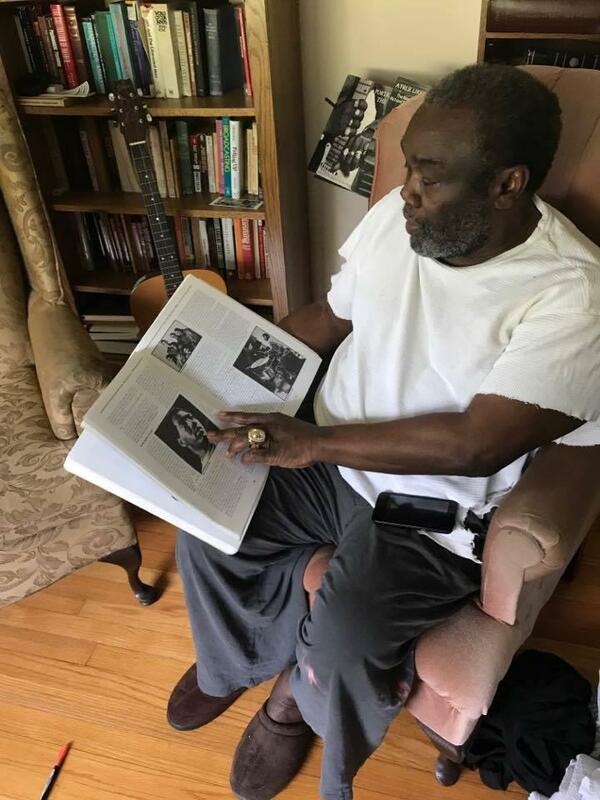 WFAE’s Erin Wygant visited one of the last remaining band members in Wadesboro. 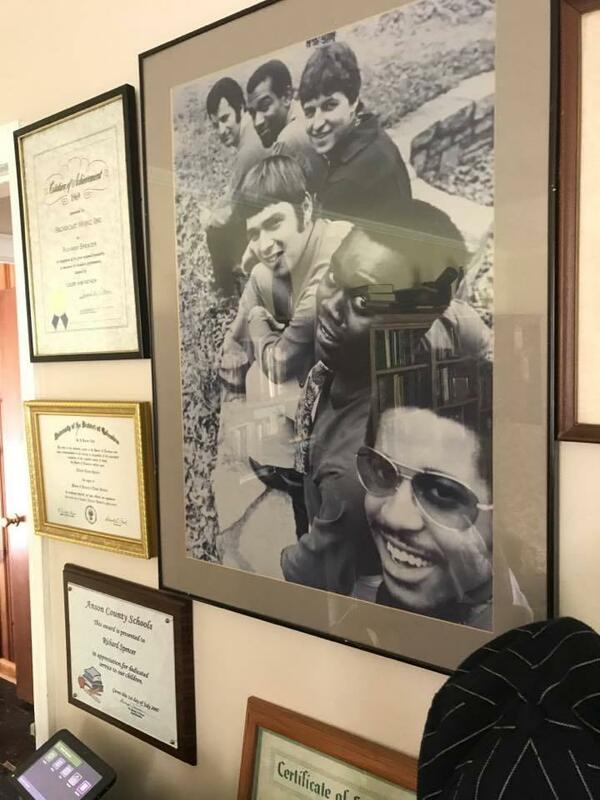 The Winstons' first professional photo hangs in Richard Spencer's living room, surrounded by framed diplomas. ‘The Winstons’ were a funk and soul band in the '60s. They started out as back-up musicians before briefly hitting it big. Band leader Richard Spencer remembers the rush of those days fondly. The group’s first professional photo hangs in his living room. “The guy at the top is Ray Maritano. And now that’s Phil – Phil was the pretty boy. That’s me, and now that’s Greg there with the shades on,” says Spencer. Gregory Coleman was the drummer. He was the one who played the Amen Break. Spencer and the rest of the band didn’t think much of it at the time. It's a six second drum beat that early hip hop artists sampled. Beginning in the mid '80s, they took recordings of other people’s songs and used them in their own music. N.W.A was one of the first groups to do this with the Amen Break in 1988, with the song "Straight Outta Compton." Artists are still using it. Take Roni Size. He’s a popular drum and bass producer and DJ in the UK who says the Amen Break is one of the backbones of his music. “God, I’ve used it pretty much in every record I’ve ever done. It was just one of those breaks that you could manipulate and make it sing and dance the way you wanted it to,” says Size. It may sound like stealing, but Nate Harrison says it isn't meant that way. He produced a documentary about the Amen Break. “People weren’t doing it maliciously, or anything like that. They truly loved his music and they absolutely meant it as an homage,” says Harrison. Spencer points out the paragraph where he is mentioned in the book, "Give the Drummers Some." In 1996, Spencer was surprised to get a call from a UK record producer looking to license the break. That was the first time anyone asked him to use it. But by then, it was too late. “I tried a couple of times to see if I could regain some of my money I guess. But it was just too expensive and plus, I had other things to do than be sitting around chasing the past,” Spencer says. Besides, it wouldn’t have done any good. “Had his recording been recorded after 1972 and people were using his actual recording, he’d have a federal claim for copyright,” says Dina LaPolt, an entertainment lawyer whose clients include Steven Tyler and 5th Harmony. LaPolt says the band would have had to record the song again after 1972 and be savvy enough to know how much musicians would be willing to pay for it. Best case scenario, The Winstons could have made a couple million dollars. Spencer isn’t angry – just more resigned. As a black musician in the '60s, he became used to being somewhat anonymous. “They wouldn’t put the picture of The Winstons on the album because the Southern distributors said they would not distribute anything that seemed like it was promoting racial integration. Because we were a mixed group, we couldn’t get jobs in certain places,” Spencer says. Spencer still practices his music at home, but he doesn’t play in public. After The Winstons broke up in 1969, he worked for the DC metro system while going back to school. Spencer's song, "Color Him Father," won a Grammy for the best rhythm and blues song of 1969. “I had nothing after the record. I had a high school education and a Grammy, which had no value. So I had to go back to college. And I just fell in love with reading," Spencer says. He ended up pursuing his PhD in political science at Howard University. 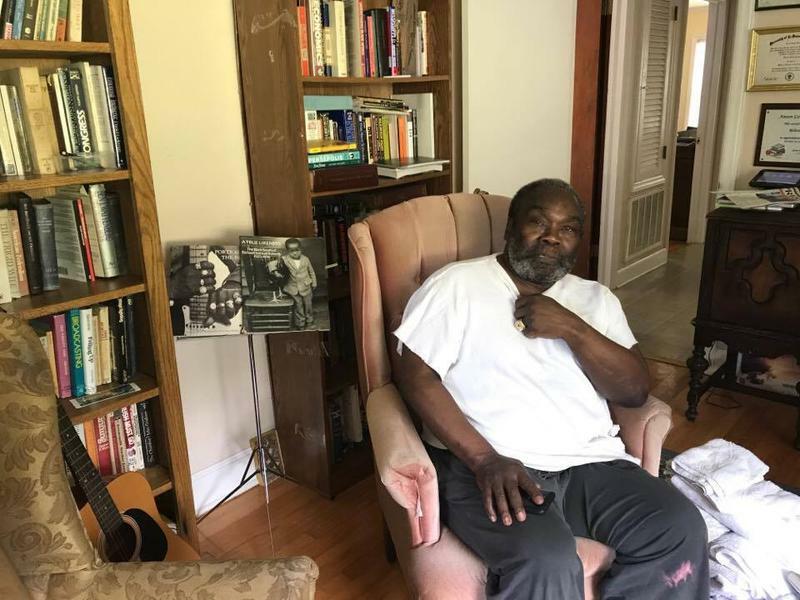 In 2000 he returned to his hometown, Wadesboro, and taught history at the local high school. It’s here that he raised his son Richard in a modest, brick house. 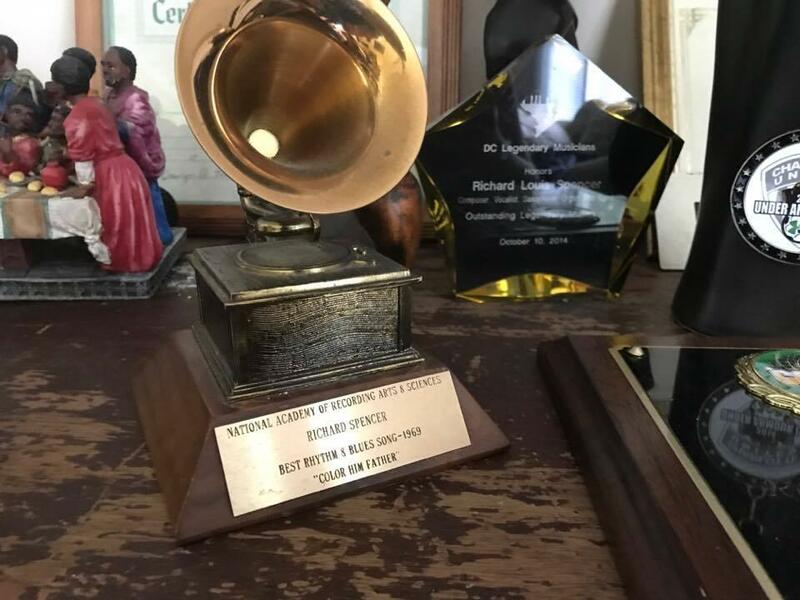 In the living room, his Grammy Award and gold record are lost in a sea of pictures and framed diplomas. “That’s Richard’s degree from Pfeiffer University. I swear to God, I’m more proud of that than anything,” Spencer says. In the past few years, Spencer has received some recognition. In 2015, a DJ in the UK set up a GoFundMe page in Spencer’s name as a thank you for the Amen Break. Almost 2,000 people donated about $26,000 to Spencer. He posted a video of himself on Facebook, holding a giant check. “You guys are the best. Thank you very, very much. Aaaamen!” he says in the video. This October, Spencer will join legends like Andy Griffith, James Taylor, and Ben E. King when he’s inducted into the North Carolina Music Hall of Fame.